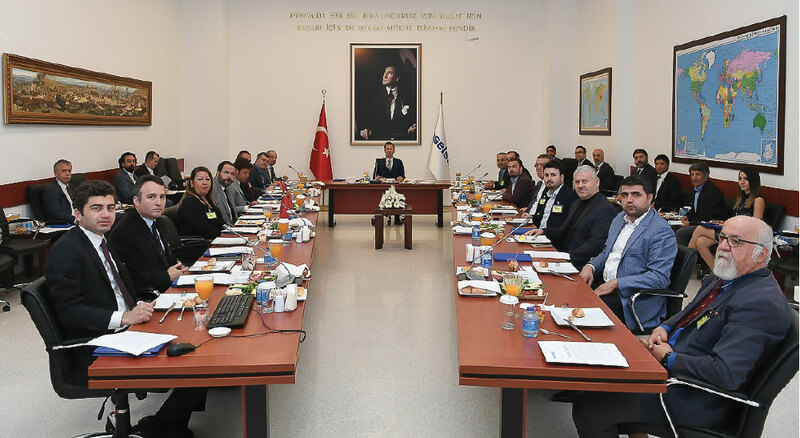 Aselsan’s Chairman of the Board and CEO Prof. Haluk Görgün gathered with the representatives of daily newspapers and defense magazines in Ankara. He appointed as an Aselsan Board Member in 2017 when he was the President of Gebze Technical University and then assigned as the Chairman in the beginning of April 2018 and also as the CEO of the company on April 27th, 2018. Informing the media representatives on Aselsan’s 2017 financial performance, its planned investments and projections for the future, Prof. Görgün stated that where Aselsan’s gross income was 923 million TL in 2016, it reached 1.355 million TL in 2017 and added that company’s net profit increased to 1.388 million TL while they broke a record in the backlogs. Expressing that Aselsan’s orders in 2017 reached the level of $6.8 billion, Prof. Görgün continued: “Maintaining its activities for a ‘Stronger Turkey’, Aselsan became the most essential address of national, domestic, indigenous and reliable technology with the activities and investments it launched. Maintaining its activities with the mission of minimizing the foreign dependency of the Turkish Armed Forces and our devoted security forces, with its products Aselsan became a brand preferred not only in the domestic market but also in the international arena. In 2017, Aselsan made sales in the level of 5.4 billion TL and increased its backlogs to $6.8 billion ($2.143 billion of them were from new orders). The company’s turnover of 2017 reached 5.360 million TL and Aselsan realized 52 percent of its sales to Turkish Armed Forces (TAF), 33 percent to private institutions / other institutional customers and 15 percent of its sales have been exports. Achieving a critical business potential enabling growth for 2018 through the orders it received, Aselsan has made its mark in crucial investments in the area of R&D. The R&D expenses of the company were 1.243 million TL in 2016 and it reached 1.675 million TL in 2017. 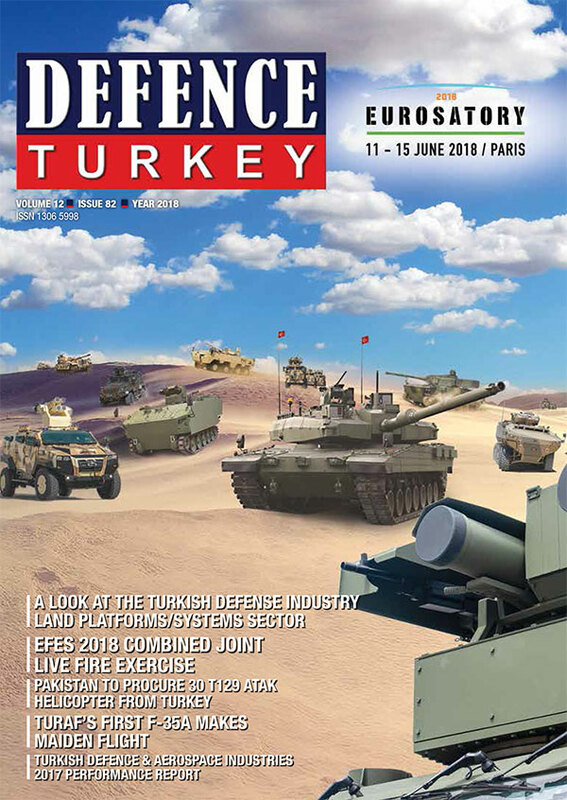 Conducting 33 percent of the defense industry’s R&D in Turkey, Aselsan is in the position to accomplish the highest expenditures for R&D in Turkey”. Stating that they adopted a decision for using a quite wide area at Gölbaşı as a single center Prof. Görgün added, “Our production lines will be completely transferred to that location in time. I think we may start within three years. Gölbaşı will be our sole center”. Upon the question regarding whether they plan to make changes on industrial departments and organizational changes Prof. Görgün stated that their primary approach is to increase exports and produce critical products through national resources adding that they do not think of such organizational changes for the time being. Following the meeting, a brief information tour was realized at the Macunköy facilities of Aselsan for the members of the press accompanied by Aselsan’s Deputy Chairman Mustafa Kaval. Underlining that Aselsan’s 120mm automatic loaded Mortar, automatic air system was presently being installed to BMC’s armored vehicle, Kaval noted that this vehicle will be a system that will be utilized effectively especially in the struggle against terrorism and the asymmetrical battle environment. AHS-120 Aselsan 120 mm Mortar System, originally designed entirely by Aselsan including sub-systems, is a modern weapon system integrated on a turret equipped with Automatic Barrel Lying System, Automatic Ammunition Loading System, Recoil Mechanism and Fire Control Systems. Considering today’s increasing demand for automation of mortar systems, AHS-120, like other Aselsan’s weapon systems, is predicted to have a significant share in both domestic and foreign markets. Due to the modular system architecture, system can be integrated to tracked or tactical wheeled platforms as well as stationary platforms. At the same time, modular system architecture enables the integration of any kind of domestic / foreign rifled or smoothbore mortar barrel. Recoil Mechanism, originally developed by Aselsan engineers, reduces the force transferred to the platform during shooting. This feature increases the variety and number of platforms that system can be integrated. Automatic Ammunition Loading System, originally developed for AHS-120, provides precise, fast and safe loading of ammunition. Advanced Fire Control System Technology, Automatic Barrel Lying, Automatic Ammunition Loading and Muzzle Velocity Management features enables performing the fire mission in the shortest time, achieving desired effect on target most effectively with minimum amount of ammunition and quick deployment. While vehicle is moving, to show the position and direction information provided by the Inertial Navigation System located in AHS-120 on the Driver and Shooter Display Units provides driver to follow the planned route. Thanks to the precise position and orientation information provided by the Inertial Navigation System, the system is deployed in a very short time and ready for shooting. While providing a mission-oriented, menu driven colored graphical user interface, system allows display of battlefield information on a digital map. Within the scope of the AKKOR Pulat APS project that was initiated on 28 June 2017 by the Undersecretariat for Defense Industries for fulfilling the urgent requirements, emerging in the aftermath of Operation Euphrates Shield the tanks within the inventory of the Turkish Armed Forces were hit with the anti-tank guided missiles and rocket threats. To prevent casualties M60T Fırat tanks were utilized with their active protection systems, capabilities realized through the know-how accumulated in the AKKOR APS with was developed indigenously by Aselsan. According to the scheme published in March via the official twitter account of the Undersecretariat for Defense Industries, firing tests with trigger radars were realized in February 2018 and successful results were achieved during these tests. The system successfully passed the firing tests conducted against various anti-tank guided missiles in March as well. Upon the completion of these tests, the first delivery is aimed to be conducted at the end of 2018 summer after the completion of the qualification and the system is aimed to be integrated to the modernized M60T Fırat tanks. AKKOR Pulat APS is composed of 3 components namely the control board, power distribution unit and counter measure module. High technology trigger radar and counter measure ammunition are installed over the counter measure module. AKKOR Pulat APS has a rather constant structure compared with the AKKOR system developed uniquely by Aselsan and it provides 360 degrees of protection to the tank thanks to 6 launchers placed over the tank in 60-degree angles. With the help of the trigger radar and sensor over the launchers, AKKOR Pulat APS is capable of sensing multiple threats and destroying them with hard-kill method. In addition to the anti-tank guided missiles, the system provides high protection against the missiles fired at a close range. Aselsan initiated development of the AKKOR APS with its own resources in 2008. The tests, where radar, central computer and hard-kill ammunition of the system were tested and successfully completed in 2010. The preliminary design process (PDR) of the AKKOR system which is decided to be officially utilized at the “Altay” MBT with a contract signed between SSM and Aselsan on 30 November 2015 for using the unique and national active protection system in the “Altay” MBT was completed on 19-20 January 2017. In the program where the critical design meeting was executed on 25 December 2017, the prototype production and field tests were planned to be made in 2018 and in the verification firing tests and extended mobile firing tests will be conducted in 2019. Following the completion of the test and qualification processes, AKKOR APS is aimed to be rendered available for mass production and integrated to the “Altay” Main Battle Tanks. AKKOR system, that will increase the survivability of the “Altay” MBT against the anti-tank missiles and rockets, will have both hard-kill and soft-kill capabilities. With the help of the very high resolution hard-kill radar located at four points of the tank that provides a full 360 degrees of full horizontal protection and tank laser warning system. The tank is capable of rapid reaction to the threats and the smart protection ammunition fired through the mobile hard-kill ammunition launchers that are placed at both sides of the tank allow for the capability to engage different targets and capacity to destroy the target by exploding at an optimum distance due to the smart fuse.